Healthy social movements have an eco-system of actors. This may include not-for-profits, journalists, community groups, grassroots action-takers, First Nations, etc. Here at Dogwood, we take our role in B.C.’s environmental movement seriously. We believe in building local political power and powering-up our campaigns through many people taking democratic action together. 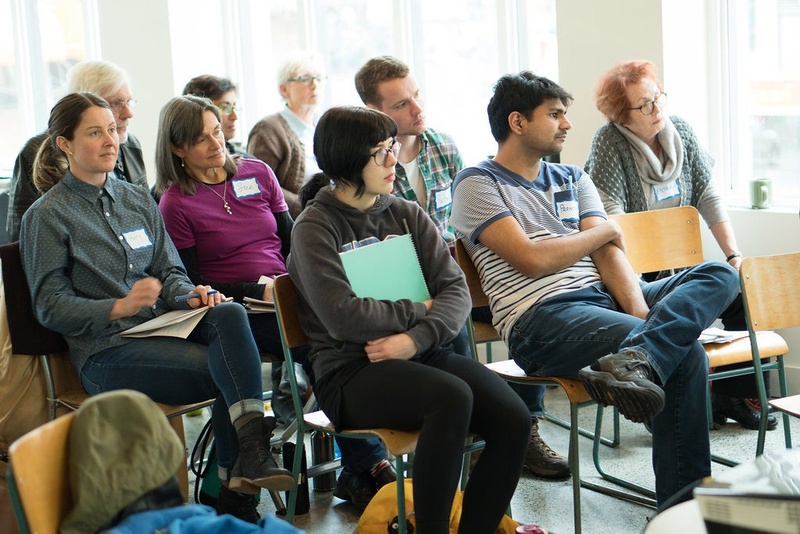 At this workshop, you’ll learn some of the theory that informs our decision-making, the current state of our campaigns, and how we plan to take action together this summer. You will also get to meet fellow Dogwood volunteers and staff from across the region! RSVP here to join the workshop. This workshop is for people who have previously volunteered with Dogwood in any capacity. It is an opportunity to learn more about us, having already decided that you’d like to be more involved. If you have been involved for a long time, great! Come freshen up your organizing skills and vocabulary and meet people from across teams. CityStudio is located at 1800 Spyglass Place, under the Cambie Bridge. There is bike parking and free parking near the venue. The nearest skytrain station is Olympic Village. We acknowledge that this event takes place on the unceded territory of the Skwxwú7mesh, Tsleil-Waututh, and xʷməθkʷəy̓əm peoples. There are a number of seating options including chairs with arms and benches. If anyone has specific accessibility questions or needs we can help accommodate please don’t hesitate to contact Emily Glass at emily@dogwoodbc.ca. RSVP here to save your spot.